We had the best time romping around Downtown Knoxville shooting Loren + Preston’s spring engagement session. 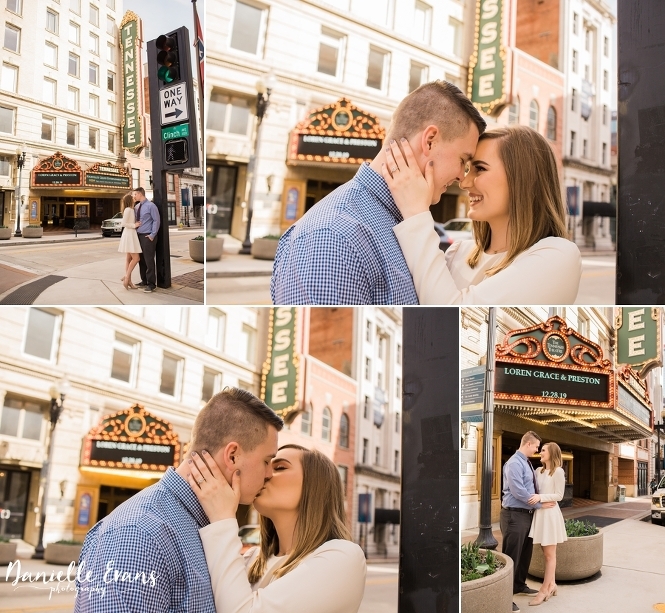 We began the March engagement session on Gay Street before the Tennessee Theatre. This iconic symbol of downtown Knoxville staple was the backdrop for some pretty incredible pictures. 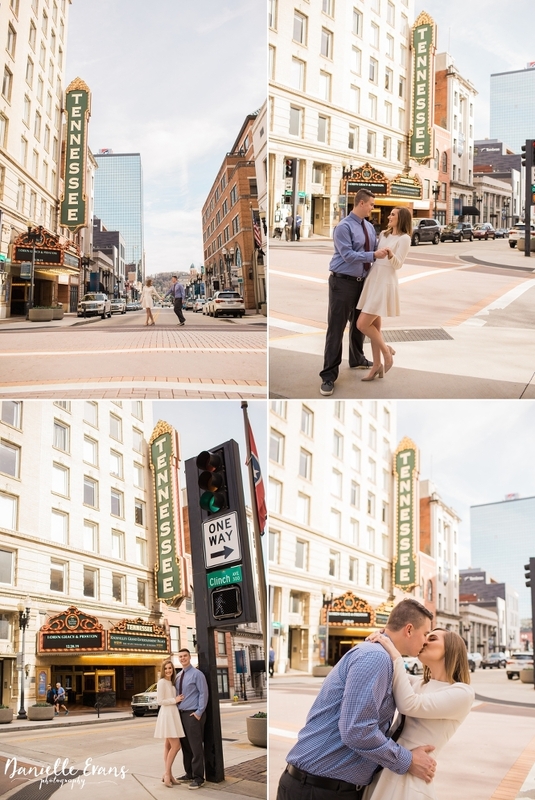 Even the marquee welcomed the happy couple to Downtown Knoxville with their names and upcoming wedding date. How cool is that?! Loren’s ivory dress was perfect for twirling in and we took full advantage. These two just radiate with love and as you can see must of our session was spent laughing. 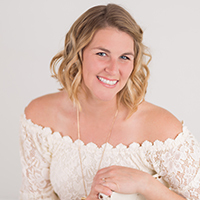 From the architecture of downtown and all of its historic buildings to the modern industry look of the Old City, this engagement session has it all. Our couple did a quick wardrobe change for the Old City part of the session. They went with more relaxed and casual outfits. Doesn’t it fit the feel of the Old City more?! Loren wore an ivory sweater, pastel pink pants and booties. Preston changed out of his tie and button down for jeans and a quarter zip. From beginning to end, this couple looked fantastic. We love the way our couple stood out from murals in Old City to the fantastic yellow doors of The Standard. We ended our session at Cruze Farm Dairy . What a sweet way (yes that pun was intended) to end a perfect day with these two! We can’t wait to be back in Downtown Knoxville for Loren + Preston’s wedding at the Historic Southern Railway in December!